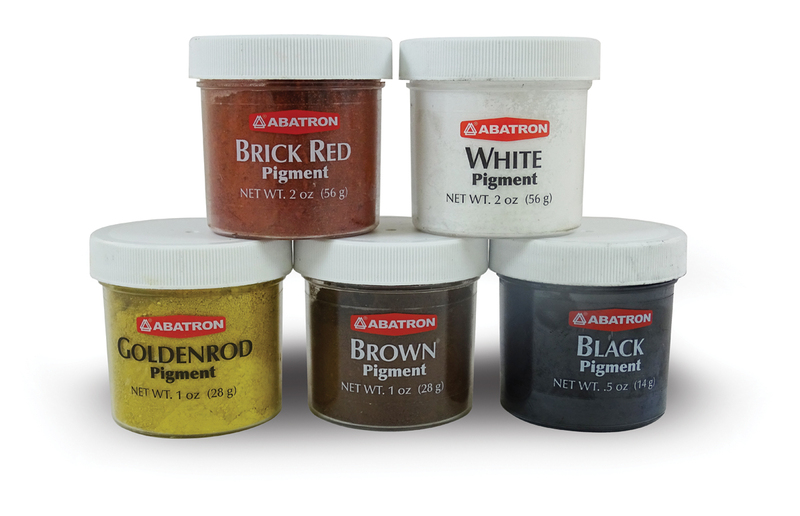 Dry Pigments | Abatron, Inc. Blend one or more into WoodEpox until color is uniform. Our selection of colors include (top row) Dark Brown, Brick Red, (bottom row) Goldenrod and Black. Q Is there a limit to how much pigment can be used to avoid impairingi the curing of the epoxy? No, you can tint it to whatever your desired color is. Q Do you have picture samples of using these pigments for staining exterior wood siding? We have color swatches on our website. Q What color of pigments and how many to repair 286' brown treated wood of patio? We have pigment available in Brown, Black, Brick Red, Yellow and White. We don't have any mixing ratios or "recipes" to match colors. It's a matter of you working with the pigments to get your desired color. 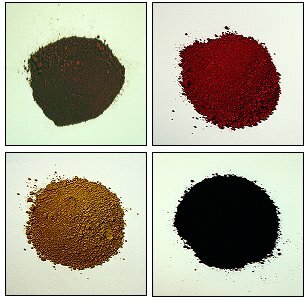 Q Is WoodEpox Pigment (Black) food safe? Q Can you still apply wood stain to cured WoodEpox that contains the pigment? I want to make sure the pigment does not effect the absorption of any subsequent wood stain that may be applied to fine tune the color. Answered by the admin	Yes, you can stain over the tinted WoodEpox. Between all the great products sold by Abatron, endorsed and used by Steve Quillian, who also referred us to your products, we are well on our way to restoring our family home that is nearly 125 years old! Thanks so much! We’ll get all our products from you.